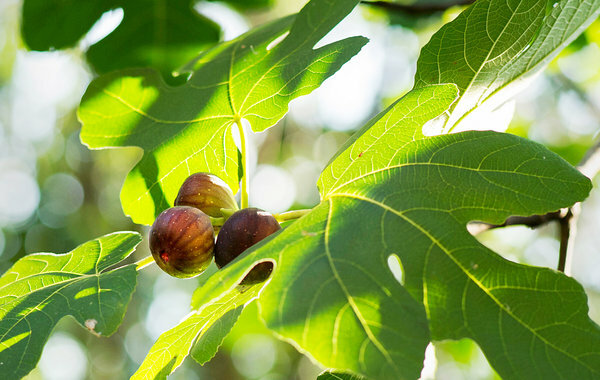 Fig trees are growing in Brooklyn? According to this New York Times article they're sprouting fruit all over the borough. Well, then, why not plant one in Manhattan. 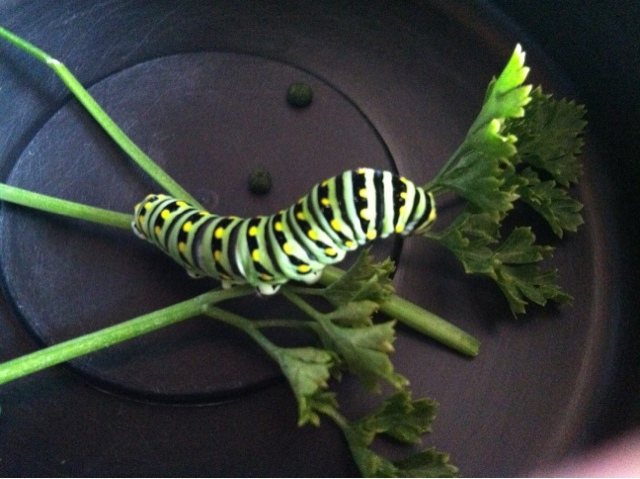 Sounds like a great addition to my already overflowing urban garden. I'll be on the lookout for a sapling come next spring! ﻿﻿ Oh how I hate to admit it. How I wish it wasn't so. But this season is fast shaping up to be our worst ever! 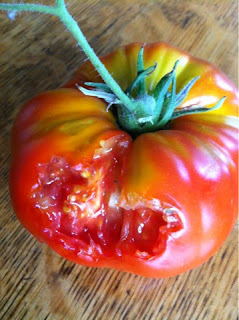 We have had terrible luck in the garden, no where more evident than with our tomatoes. The season started off well. Putting the plants out a couple of weeks early thanks to a warm spring resulted in ripe tomatoes in mid-July, a full two weeks before last season. But our plants have since punked out on us. Just when we should be getting a bountiful harvest, the vines are completely bare. Not a hint of red peeking through the green leaves. Frankly, it's a depressing sight. The prolonged hot weather, with several weeks of 90 degree or higher days and nights, is surely a culprit. Tomatoes grow best when the temperature is 80 degrees to 85 degrees during the day and in the 70s at night I recently read. Prolonged heat waves like the ones we had this summer inhibit pollination, causing blossom drop - when the flowers dry up and fall off instead of producing fruit. A recent New York Times article throws cold water on this theory, quoting lots of local farmers crowing about their fabulous crops, but I'm sticking to it, since I have only my own garden to go by. Our choice of heirlooms may have added to our woes. 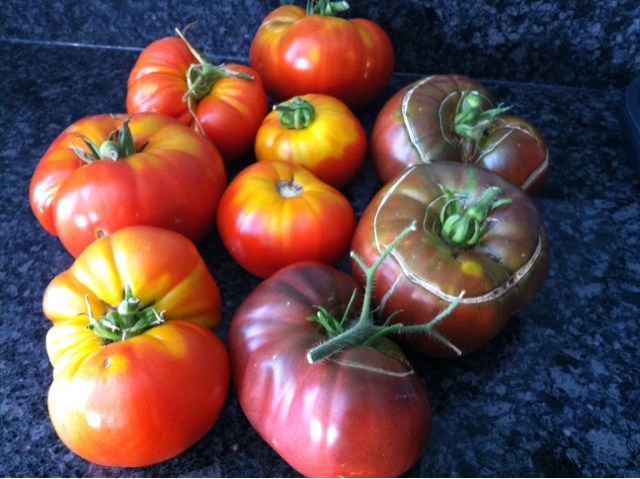 We experimented with completely different varieties this year, Black from Tula, Azorean Red, Green Zebra and Pantano Romanesco, buying our seeds from Tomatofest.com. Though they were highly rated on the site, maybe they aren't as hardy as the Cherokee Purples and Brandywines we've been growing all these years. Even the Kellogg's Breakfast, with its beautiful orange fruit, faded in July after a strong start. I suppose we should always go with what we know - experimenting is fine, but with one or two plants at most, not all of them! 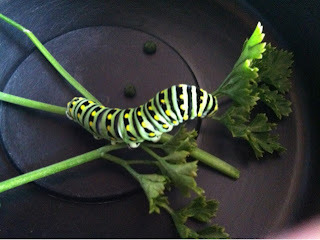 There have been other problems in the garden this summer. I planted cucumbers when I should have gone for the smaller Kirbies, which grow better in pots. Somehow I forgot this after learning the same lesson two years ago. The broccoli seemed like a winner early on, but so far I've harvested only three florets. My lettuce was also overcome by the heat - though now I have new seedlings growing. To top it all off, those clever mockingbirds took to pecking at the few tomatoes we had on the vines! They're probably pissed that we put nets around our blueberry bushes. Is it too soon to pine for next summer??? Kellogg's Breakfast tomato, perfect for dinner! This beauty is known as Kellogg's Breakfast tomato. 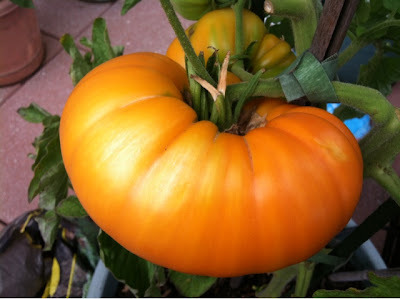 The orange heirloom is definitely our stand out this summer. It's sweet and juicy, with just the right amount of acidity and bite. We picked this 1.8 pounder two weeks ago. 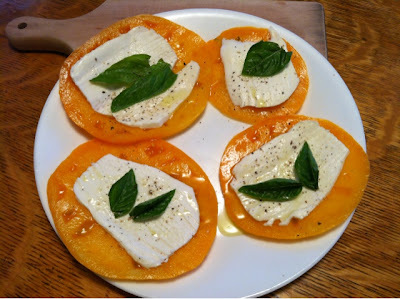 It was a tasty treat with mozzarella and basil, a sprinkle of olive oil and some pepper. Perfection!